Welcome to my second if you're shopping post. On Fridays I will share with you the news from my sponsors, in case you want to do a little shopping, or even window shopping this weekend. Starting today, August 8, the Fat Quarter Shop is offering 20% off all Riley Blake fabrics with coupon code: RILEY. This coupon is good until Thursday, August 14th at 11:59 PM CST. Massdrop is opening a drop for the Reliable Sensor Velocity V200 iron today, with a lowest drop point of about 30% off of MSRP. 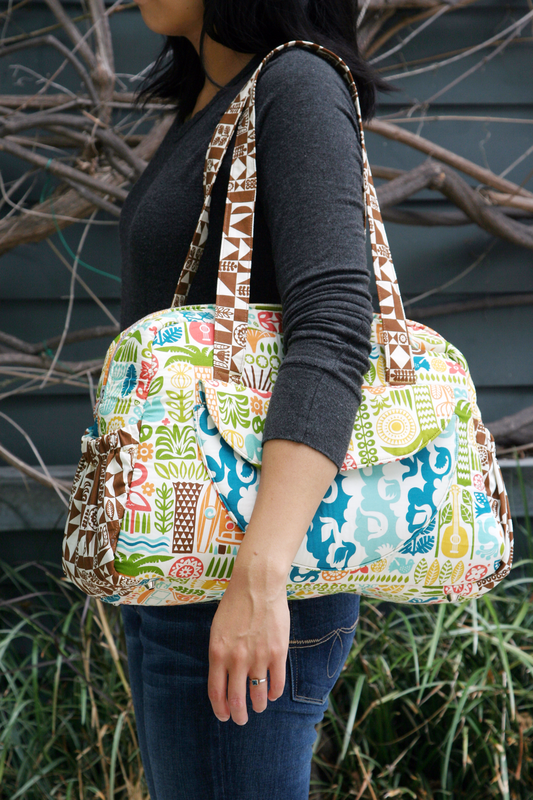 The drop I think I am going to have to buy into is the one for the Sew Sweetness Bag Kit which includes the pattern, hardware, and interfacing to make one of Sara's beautiful bags - gathering all that stuff is what puts me off bag making, and this drop gives you all of it at a fantastic discount. Green Fairy Quilts, is having a HUGE Jelly Roll sale. They are all $29.88 with free shipping in the U.S., or you can buy 3 for $28.88 each with the code JELLY3, 6 for $27.88 each with the code JELLY6, or 10 for $26.88 each with the code JELLY10. 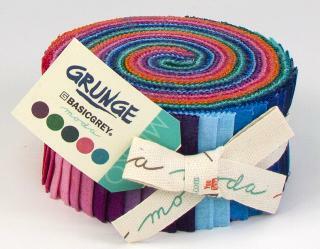 I am trying to resist that grunge roll, isn't it beautiful. Oakshott Fabrics have kitted up some of their beautiful fabrics with some great patterns. 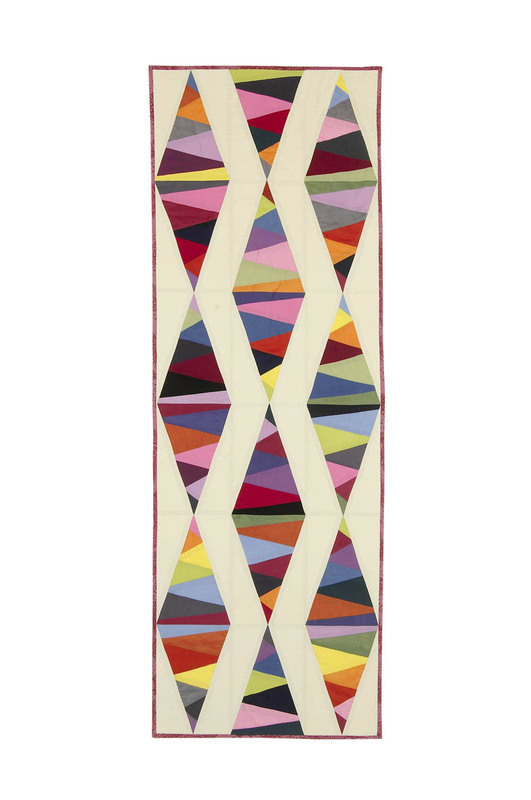 This one, Diamond Jewels - a pattern by the talented Amy Friend from During Quiet Time, comes in many sizes. You can read more about it on the Shottthrough Blog. If you are off to the Festival of Quilts in the UK, say hi to Michael Oakshott, he told me he was likely to be there. At Sew me a Song, the bundle I am eyeing this week is that bundle of Art Gallery Fabrics Pure Elements solids. I also see that Becca keeps adding new text and low volume fabrics, several new ones have appeared since last week. 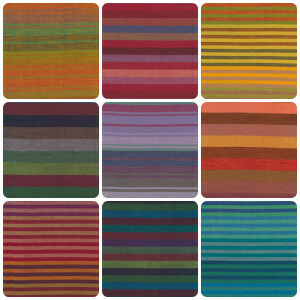 Mad about Patchwork has Kaffe Fassett Woven Stripes on sale for August for $8.00 a yard. Pam also has this week's Monday Mosaic bundle, Water's Edge at 20% off until Sunday August 10 at midnight. Mad about Patchwork features a different curated sale bundle each week. 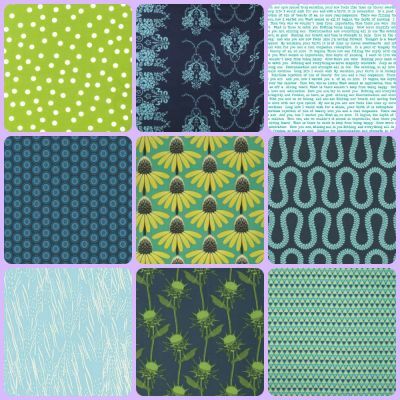 Sew Sisters now has Riley Blake dots on sale for $7.99 a metre. They also have some great prints in their clearance section. Enjoy your weekend. I am off to have lunch with Krista - Poppyprint - today. Despite how much closer I am to her at my summer house, it is almost three hours on two ferries to get there. Luckily I have a knitting project to get finished.